The 2014 FIFA World Cup is finally here (praise hands) and we are so ready to be unproductive for the next few weeks. 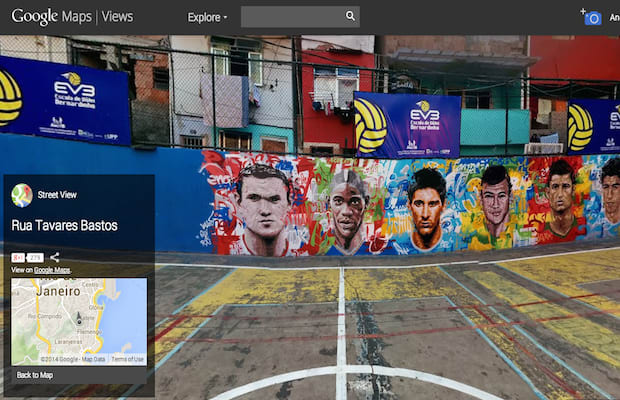 To supplement your soccer watching, you should check out the "Brazil&apos;s Painted Streets" photo collection, images of murals and street art that artists have done in honor of the global event with the help of Google Street View. The annual tradition is a way for the people of Brazil to celebrate their heritage and culture while also celebrating their team. Now, as a part of Google&apos;s ongoing Street View Project, fans around the world can see the vibrant murals of green, blue, and yellow in ruas across the country. 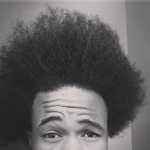 Check out the video and a few of the murals below, and click this link to see a whole lot more.